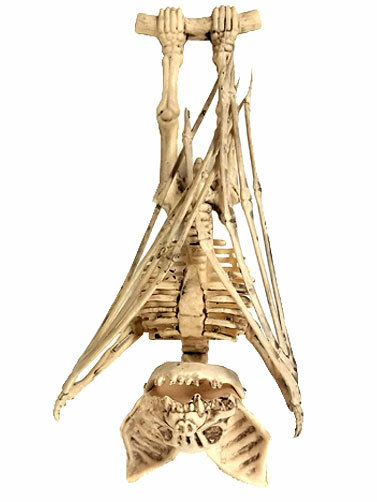 This Plastic Skeleton Bat decoration is posed in an upside down position and is gripping a branch between the feet that can be used for displaying. Looks great hanging from a tree or in an entryway. Antique white. Plastic with hinged jaw. Okay for outdoor use. 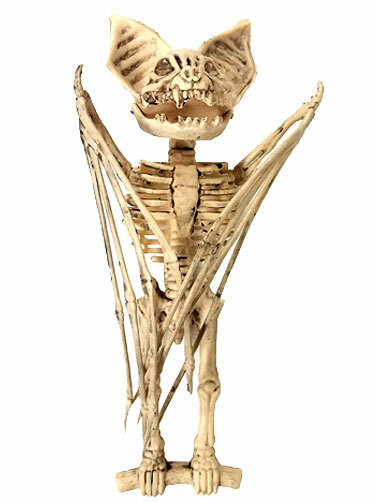 Plastic Skeleton Bat measures 10.5"L x 5.25"W X 4"H.